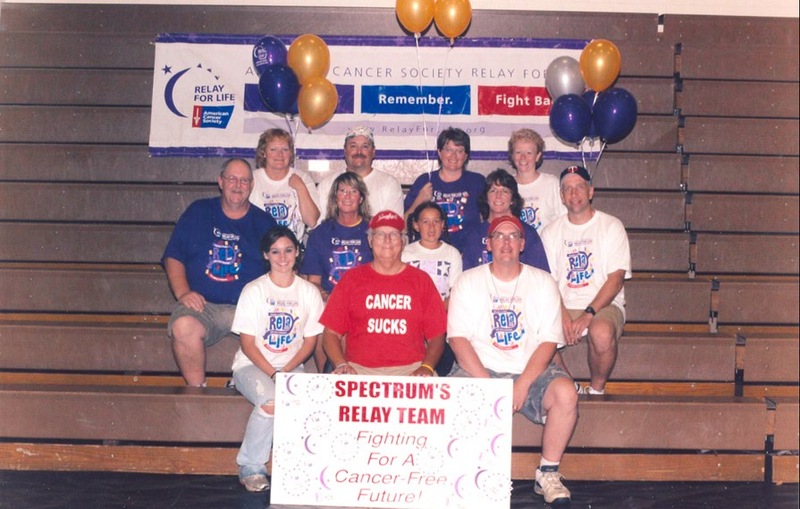 Spectrum Industries’ continued dedication to the American Cancer Society has led to our earning 1st place fundraiser in the 2010 Chippewa County Relay for Life. This year’s theme is “More Birthdays”, and Spectrum is more than proud to help make a world with less cancer and more birthdays! Team leader Teresa Repaal once again put our team in great position with year-round events and sales. Thanks to her tireless efforts, Spectrum Industries has become an even stronger leader within the community. 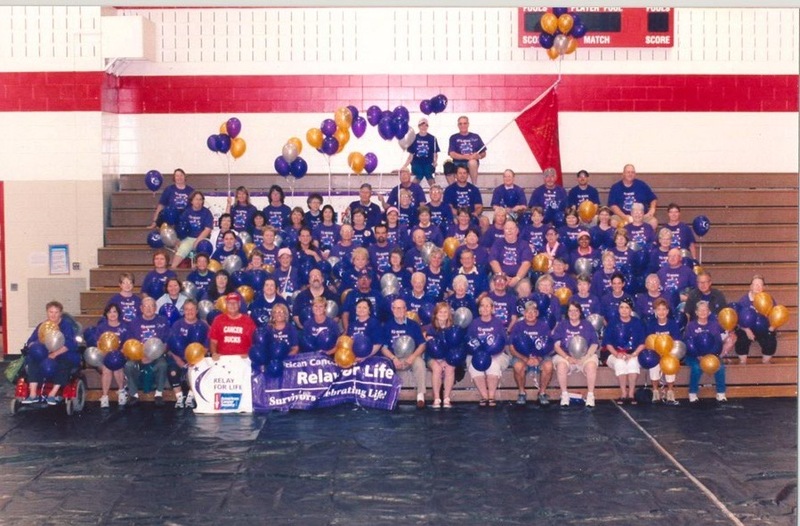 Spectrum's team members pose with Relay for Life "Spotlight Survivor" Frank Schemberger. Shem, a stage 4 survivor, is not shy about his feelings on cancer! Like to join us? To become a team member or to make a tax-deductible donation, click here. Spectrum Industries, Inc. – A manufacturer since 1968; A participant in Relay for Life since 1998; A community leader at all times.